Verona Vineyards is not your ordinary winery and Rewards Uncorked is not your ordinary wine club. Where most wineries want you to pay to join their wine club, Rewards Uncorked wants to reward you for being a loyal customer of Verona Vineyards. 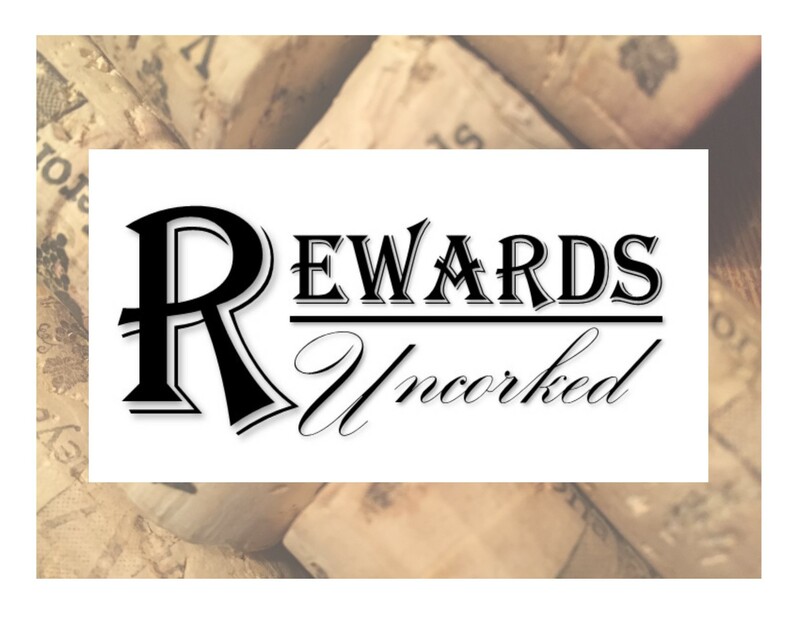 Rewards Uncorked will allow you to earn credit for your purchases towards gift certificates, provide you with special "Members Only" rewards, and offer you exclusive Club Member discounts, perks, and invitations to special events. We will even give you the reward of "Buy one bottle of wine and receive the second bottle at half off" just for joining Rewards Uncorked. To join Rewards Uncorked, simply text "JOIN" to 62687 and download our free app through Flok and start enjoying your Rewards Uncorked. The Rewards Uncorked App will turn your smart phone into a punch card where you can get credit for your Verona Vineyards purchases towards gift certificates that can be used towards wine, beer, or merchandise. For every $15 purchase you receive one punch. Collect 15 punches and you will receive a gift certificate for $20.00 off of your next purchase. We love when our regular customers stop in to visit us and we want to show them our appreciation. Each time you stop in the Winery or Verona Vineyards at Rabbit Hash and check in through your Rewards Uncorked App, you get credit towards advancing in our VIP Club and are on your way to earning special VIP only perks and discounts. 10 Visits earns you 15% off the purchase of wine by the case. 20 Visits earns you 18% off the purchase of wine by the case. 30 Visits earns you 20% off the purchase of wine by the case, use of a Platinum Member wine glass while drinking at the vineyard, invitations to exclusive Platinum Member events, and wine library priviledges. Earn a welcome reward of "Buy one bottle, get the second at half price" just for joining Rewards Uncorked. Earn special discounts during Happy Hour and other special events. Come celebrate your birthday at Verona Vineyards and as a Rewards Uncorked member you will receive a glass of wine on us.